Flipkart might’ve raised $1.4 billion (Rs. 9,000 crore) in India’s largest ever startup funding round, but it’s not come as good news for Sachin Bansal and Binny Bansal’s bank balances. The Flipkart founders have lost their billionaire status following the latest cash infusion by Microsoft, Tencent and eBay. Flipkart’s valuation fell from $15.2 billion to $11.6 billion following the fundraise, which meant that the Bansals, who hold 7.5% each of Flipkart stock, are now worth only $650-750 million (Rs. 4,500 crore) each. A Rs. 4,500 crore net worth is nothing to be scoffed at, but Sachin and Binny Bansal had become India’s first startup billionaires after Flipkart’s funding round in 2015. Back then, they’d been worth $1.3 billion, and Binny Bansal, at 33, had become India’s youngest billionaire. Things have changed since then. 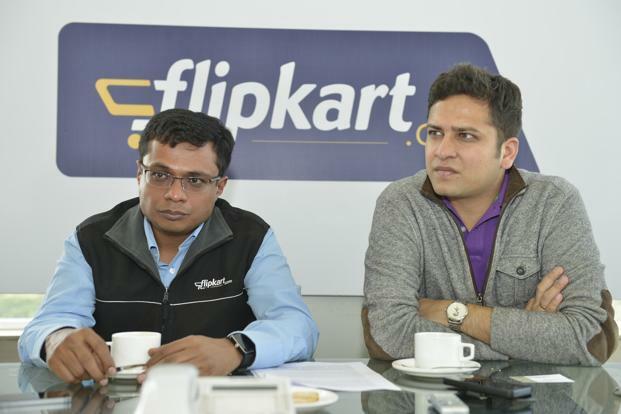 Flipkart has gone through a tough year, seeing several top exits, and much rejigging of its top management. Early last year, CEO Sachin Bansal had stepped aside to let cofounder take over, who’d in turn left for Kalyan Krishnamurthy to take over. The company is also having to fend off an increasingly aggressive Amazon, which is threatening to nudge past in growth metrics. Flipkart also saw its valuation being repeatedly cut by investors, who’d valued it at just $5.5 billion before its fundraise. As Flipkart has stumbled, other startup founders have made hay. Paytm’s Vijay Shekhar Sharma saw his net worth zoom after Paytm’s funding round, and thanks to his near 19% holding in the company, is now India’s richest startup founder with a net worth of $1.5 billion (Rs. 10,000 crore). Directi and Media.net founder Divyank Turakhia also is worth more than a billion dollars after the sale of Media.net for $900 million.